The ERGONOM-4000 series of high definition optical microscopes provide superior images of cells, tissues, organs and whole preparations in vivo, in vitro and in situ. The major strength of these instruments are their ability to deal with preparations that are difficult with conventional microscopes, such as whole-mounted preparations, living unstained cells, and living organ cultures. Offering extremely high optical resolutions in both incident (<100nm) and transmitted light (<100nm) in true color and full contrast. Ideal for life sciences, the Ergonom microscopes allows prolonged observation of biological samples in their living state without any staining or immersion oil. 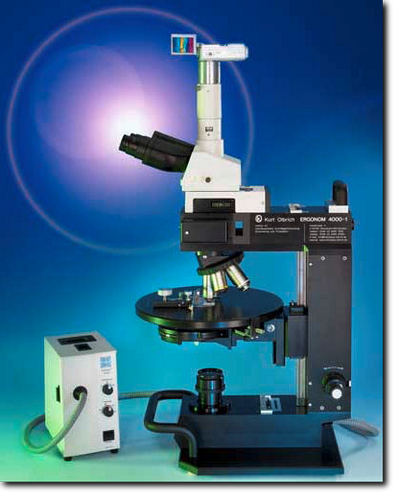 Ideal for medical and pharmaceutical research, this microscope allows you to view specimens within seconds. Clinics using such microscopes have reported a significant reduction in research time due to the ability to see the reactions of living tissue in-vitro to various medicines which can also significantly reduce the need for animal testing. We recommend the use of our range of heated Olbrich chambers with self sealing openings to allow nutrients and drugs to be injected into it as required. Our unique illumination system does not heat the sample beyond 5°C (typically 2°C) and contains no damaging rays - ideal for long term observation of living samples. Our system is entirely optical using natural colors and does not require any computer imaging or processing systems. 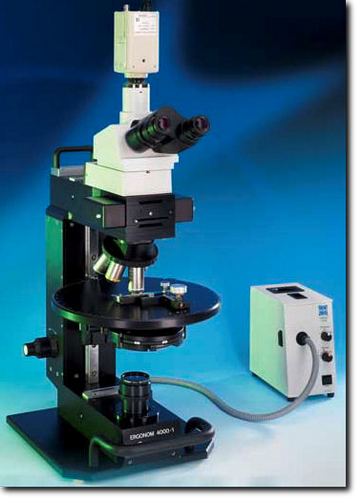 Built entirely to Kurt Olbrich's exacting specifications, this allows the microscope to be built to the very highest precision using components almost entirely designed and built in Germany. 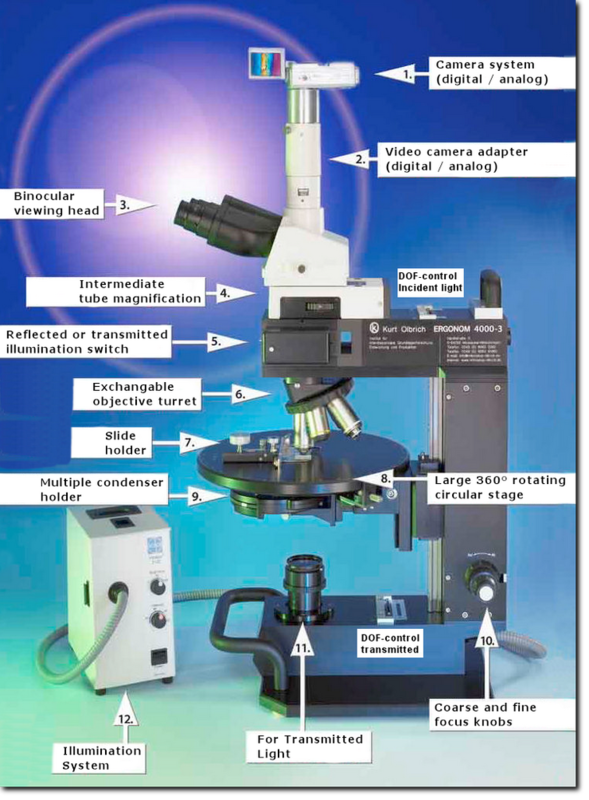 Only the very best quality components are used to allow our microscopes to achieve the high optical standards needed to reach such high resolutions. The Ergonom 4000-U (Universal) is the our top of the range flagship microscope for both incident and tranmitted light when the very highest resolutions and magnifications are required in real time and with true unstained colors. The Ergonom 4000-I (Incident) is like the 4000-U model, yet designed for incident light only. It is NOT possible to add transmitted light capability at a later date. 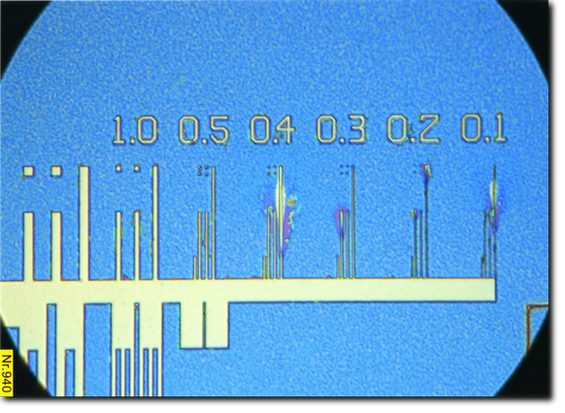 Ideal for imaging electronic wafers, plastics, metallurgy, etc. not requiring transmitted light. The Ergonom 4000-T (Transmitted) is like the 4000-U model, yet designed for transmitted light only. It is NOT possible to add incident light capability at a later date. Ideal for imaging biological samples, etc. not requiring incident light. The Ergonom 4000 series of microscopes are available in a wide range of configurations and prices to match your exact needs. Built in a modular way, it is possible to add a wide range of additional features as your requirements and budget allow. As we are a small company, each Ergonom microscope is tailor made to your needs and budget while allowing for future upgrades as required. 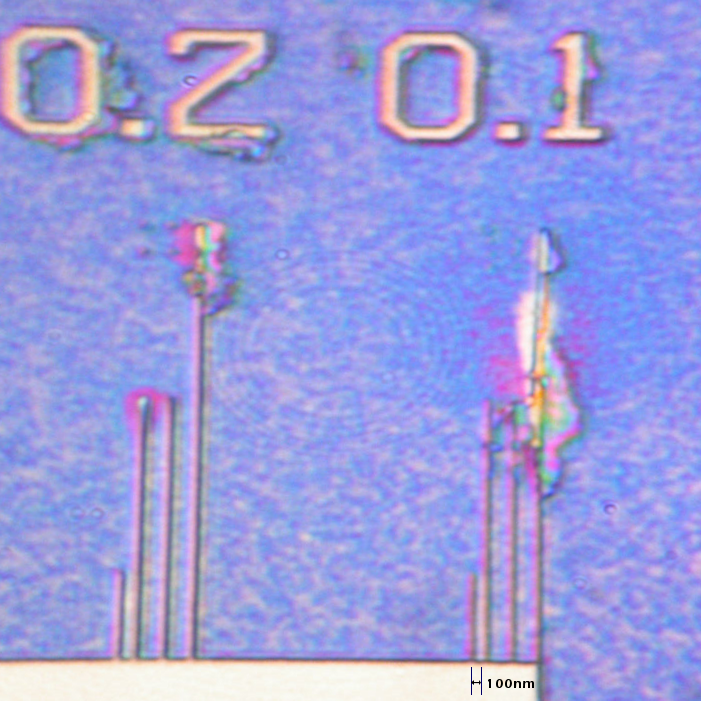 Calibrated test slide demonstrates 100nm resolution in natural colors and full contrast. Click to enlarge. Depth of Field: All Ergonom microscopes feature variable depth of field where the true colors and contour sharpness remain clearly discernable, even with ever increasing magnifications comparable with that of mid-range scanning electron microscopes. This makes it possible to vary the depth of field independently of magnification, which also allows much more detail to be seen, live and in real time! 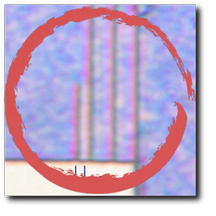 No Staining, No Oil: The unique optical system provides so much contrast that staining is not required. This allows you to observe the specimens, under a white light source, in their true (living) state, in vivid contrast and true colours even at the highest magnifications. All objectives remain dry as oil immersion is not required. Working distance: The Ergonom 4000 features an extended working distance of about 2mm even at high magnifications. This allows the use of our heated chambers allowing for long term analysis of living samples. 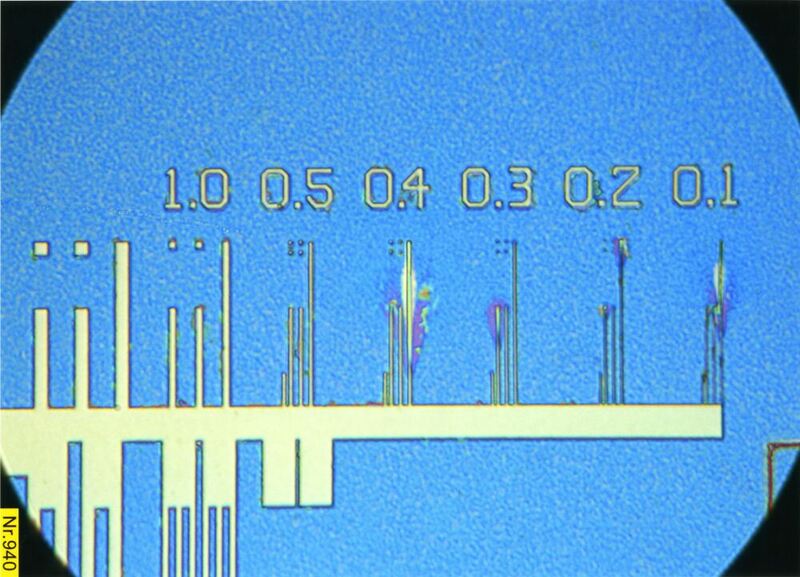 Grayfield: An entirely new method in optical microscopy is the Grayfield method, developed by Kurt Olbrich. 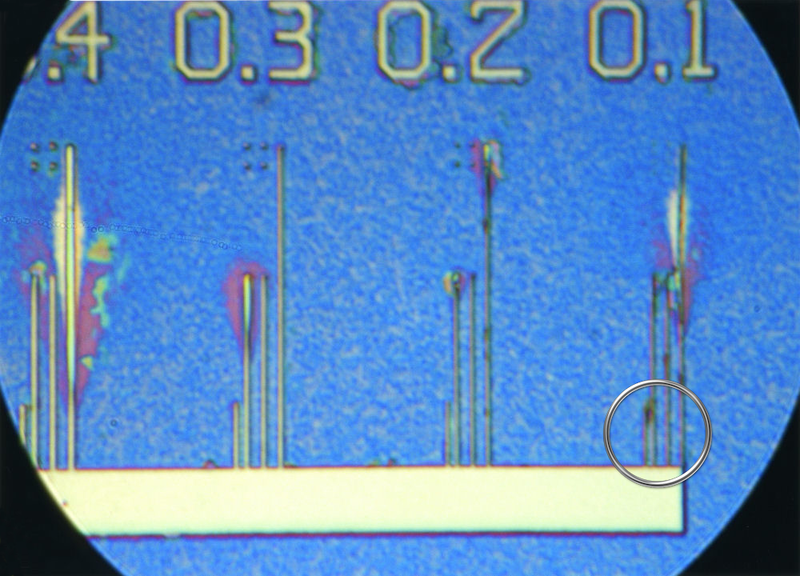 This method allows you to see detailed structures that are otherwise not even visible with conventional phase contrast microscopes. 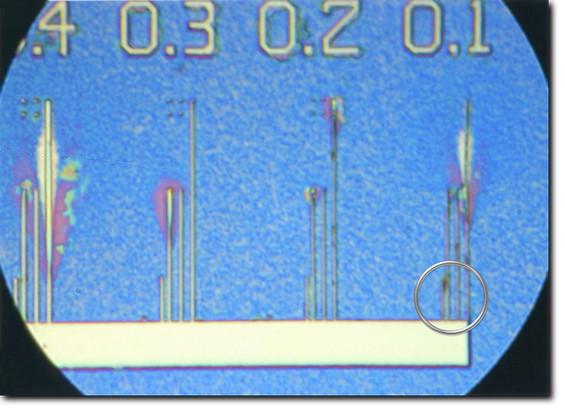 For example, the Grayfield method allows you to observe the in-vitro decomposition processes of blood. During this transitional phase new viruses and structures arise, which tend to decay and could previously not be made visible due to the lack of suitable microscope techniques. Phase Contrast: The phase contrast method is used for all thin-layered structures including fibres and textiles. With conventional methods, focusing is limited by overlapping layers and the structures also have the same fractal index causing the structures to become blurred. The Ergonom technology removes these limitations and provides clear and sharp contours.